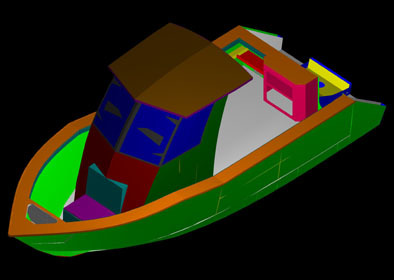 This is a fantastic boat designed for the serious fisherman or diver. It has a strong sharp bow entry, flattening out to a 14 degree dead rise. So it skims off the surface without digging down, but will cut through waves & chop very well. It is designed with a 5mm bottom, so the fishing man who wants to go fishing or diving. can handle just about anything. Extra Seats are sold as an option and the floor is checker plate, (that can be carpeted if you wish). 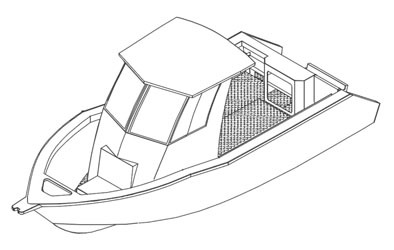 The transom has been designed for an after market live bait tank and burley muncher.This boat comes standard with in floor kill tank and a 200 litre fuel tank.